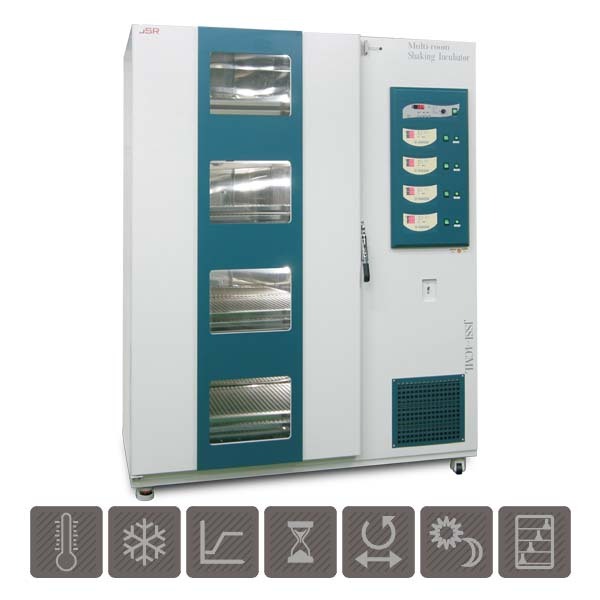 Laftech Bio-Cabinets supply quality laboratory equipment and products throughout Australia. CARON Diurnal Incubators complement our range of contamination control, fume extraction, forensic and other laboratory equipment and consumables. Caron’s Diurnal Incubators are high-tech, reliable units and are loaded with earth friendly and customer driven innovations. The Diurnal Incubator’s fluorescent lighting, light tight door cover and full temperature range allows you to simulate specialized environments for your research needs. These units are ideal for a wide range of applications and are available in 25 cu. ft. (708 Litres) and 33 cu. 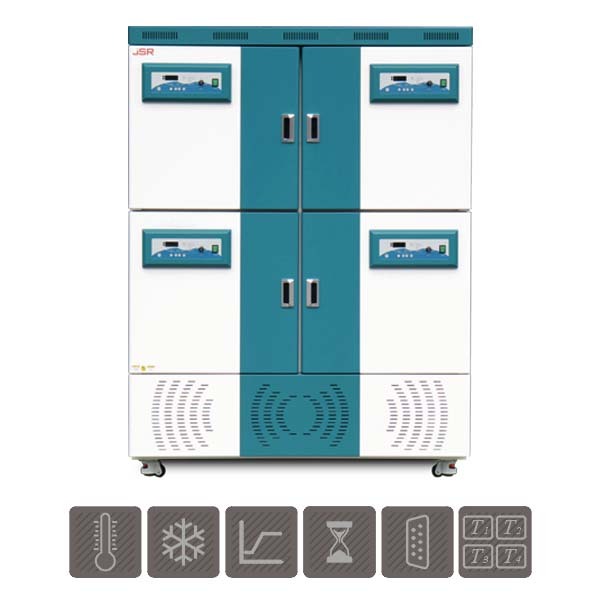 ft. (934 Litres), and are all designed to take up a minimal footprint, allowing you to most efficiently take advantage of your laboratory floor space. Multiple optional accessories are available, allowing you to cost effectively customize the unit according to your requirements. Model 6022 is 25 cu. ft. (708 Litres) unit. It comes standard on heavy-duty casters and is designed to roll through a standard three foot doorway without modification, making installation and relocation easy. Model 6042 is 33 cu. ft. (934 Litres) unit. It comes standard on heavy-duty swivel casters for easy relocation and is designed for applications demanding large capacity. LAF Technologies Pty Ltd is the exclusive Australian distributor for Caron diurnal incubator products and the authorised exclusive agents for Caron. 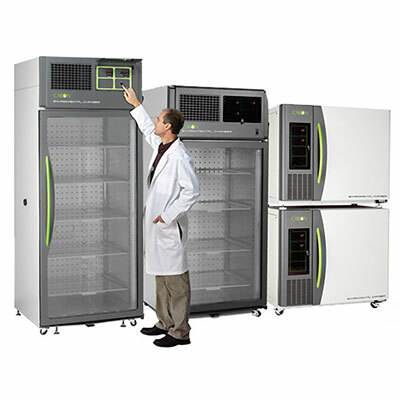 We distribute and service Caron diurnal incubators in Australia. gLux™ energy efficient, high output lighting come standard in the Diurnal Incubators. These lights are 65% brighter and last up to twice as long as other light fixtures. gLux is modular, expandable and waterproof. The light package includes a cycle timer for day/night temperature settings. The light tight door cover effectively keeps internal lighting conditions independent of room influence. 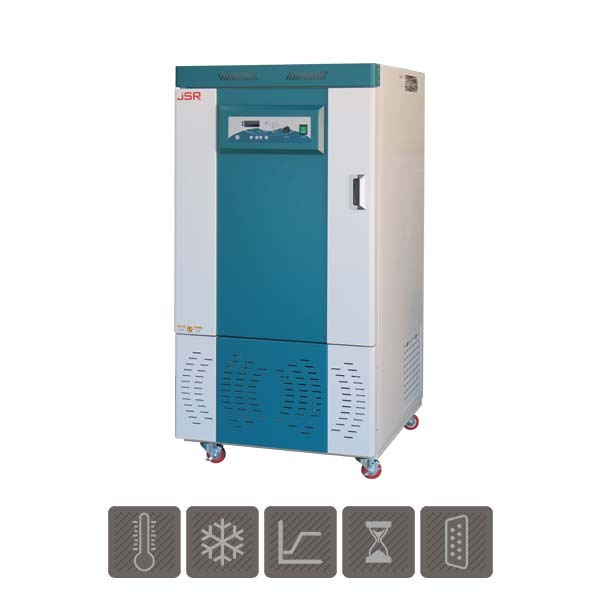 The Diurnal Incubators offer a full temperature range of 5°C to 70°C. Our robust refrigeration system is reliable for years of trouble-free operation at a continuous 24/7 set point with no defrost cycle or temperature spikes. gROD™, Refrigeration on Demand, efficiently manages power consumption and saves electricity by delivering refrigeration on an as-needed basis only, contributing to lower utility bills. 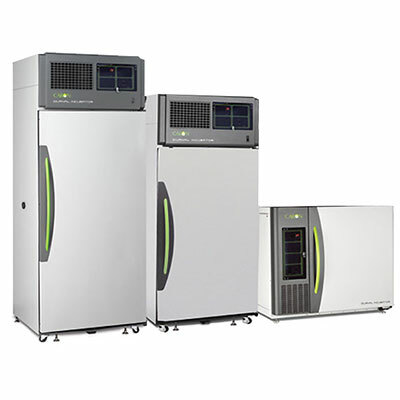 Units are energy efficient with built-in foam insulation, blower motor and refrigeration system, allowing the unit to operate on a standard laboratory outlet, lowering operating costs. The “tool-less” removable interior minimises downtime for cleaning and allows you to change the interior configuration for your application. Tight temperature control of ±0.1°C is achieved with microprocessor-based PID controllers for excellent stability and reliable, repeatable results. Two ports on the Models 6022 and 6042, and one on the Model 6012, make validation easy and provide you with convenient access to connect instrumentation. Caron’s carefully designed horizontal airflow system generates evenly distributed airflow across all shelf locations. Temperature uniformity and rapid recovery are maintained even under heavy loads. The stainless steel shelves are adjustable and perforated, making them easy to clean and highly resistant to corrosion. These shelves also slide so whether testing samples or heavy equipment, it is easy to access all product inside. Caron’s 10 cu. ft. Incubators come standard on levelling feet, which make them ideal for a sturdy benchtop application. These units are also stackable for added convenience. The 25 cu. ft. Incubators come complete with factory-installed heavy-duty swivel casters and levelling feet, and these units will roll through a standard 34″ x 80″ doorway without modification. The 33 cu. ft. units are designed for applications requiring high volume testing, and come standard with swivel casters and levelling feet, which aid in installation and relocation in and around your laboratory. Dual temperature display allows you to simultaneously visualise set point and operating conditions. The interior is comprised of stainless steel, which is highly resistant to corrosion. Audible and visual alarms alert of a temperature deviation from set point or high limit exceeded for the most accurate test results.